Many recent, large-scale and international studies confirm that there are things outside of a child’s natural intelligence that affect their academic performance. As well as a child’s socio-economic status, psychological dispositions and self-beliefs are particularly important. It has been known for some time now that test anxiety about, say, mathematics can impair students’ performance. It is also becoming clear that confidence in doing a given task may have a significant predictive value for achievement over and above the ability itself. While appearing confident may be important in job interviews, public speaking and life in general, a genuine “can do” feeling is known to have a significant correlation with test scores as well. Confidence after the fact has been found to be the best non-cognitive predictor of school achievement. This is the “done well” feeling captured by asking students how confident they are that they answered questions correctly. This provides information on how much students know about their own capabilities. 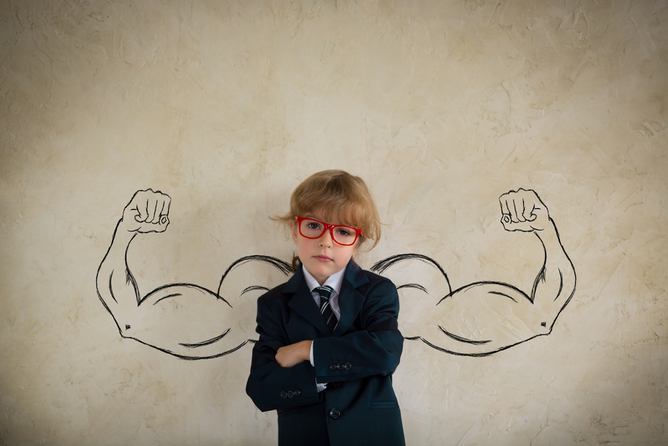 Our research over the past 20 years has shown that most students tend to be overconfident. When we compare ability and confidence on the same scale there is a pronounced tendency towards overconfidence. 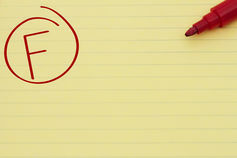 Furthermore, people who obtain very low scores on a test tend to be more overconfident than those with high scores. We found this overconfidence at the national level as well. Countries that score low in international assessments display bigger discrepancies between confidence and levels of performance than countries that score high. Our studies also found that some high-ability people – less than 10% of those studied – show underconfidence. There are gender differences in overconfidence in that females are somewhat less overconfident than males. It is interesting, however, that in our earlier studies at the University of Sydney gender differences in overconfidence turned out to be relatively small. The explanation may lie in the student selection procedures. The student body at the University of Sydney is highly selected and therefore the difference between males and females in terms of both ability and confidence is small. Interestingly, people from East Asia tend to be more realistic about their abilities than Caucasians. The findings with the post-assessment confidence point to a need to make people aware of how well they are doing on a test and how to avoid rash decisions to submit answers that may be incorrect. We need to focus in particular on those students who are showing the largest discrepancy between the test scores and subjective assessment of confidence. These are the people who have correctly solved, say, five items in a 20-items test but believe that they have solved 15 or more items. Didn’t do as well as you thought? More time and effort needs to be spent in pointing out to the low-achieving students what are the sources of error in their wrong answers. Another way to achieve improvement is the use of feedback immediately after a student provides the answer to a question and expresses his/her confidence in the accuracy of that answer. An added benefit of improving the match between ability and confidence of the low-achieving students will be an increase in the predictive validity of the “done well” confidence itself. Individuals should have a balanced perception of their abilities. If a low-ability person with high confidence frequently makes risky decisions he or she is bound to fail. At the same time, a high-ability person with low confidence may take a conservative approach to a challenge. The aim should be to assure high-achieving students of their competence. It is important to keep in mind that the emphasis is on reducing excessive overconfidence. By doing so, we can reduce risk-taking while maintaining the curiosity, openness to experience and adventurousness that are necessary ingredients of all new learning. Lazar Stankov is Professor, Institute for Positive Psychology and Education at Australian Catholic University. Jihyun Lee is Senior Lecturer, MEd in Assessment and Evaluation at UNSW Australia.